DAK There are 8 products. 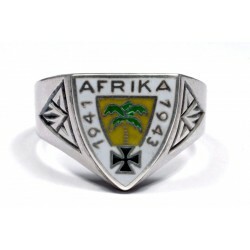 You can acquire this World War II period- AFRICA CORPS GERMAN sterling silver ring with sharp details in a good condition. 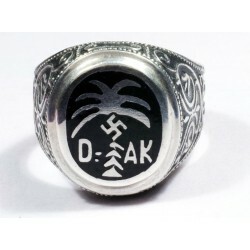 You are bidding unique ring from the World War Two period - German "DAK" DEUTSCH AFRIKA KORPS 1941 silver ring in a good condition. 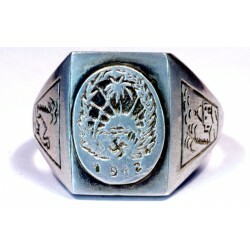 You are bidding unique ring from the World War Two period - German " AFRICA CORPS silver ring in a good condition. 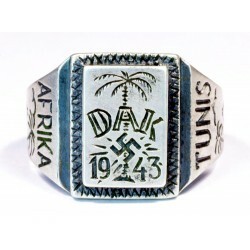 You are bidding unique ring from the World War Two period - GERMAN WWII, "DAK" DEUTSCH AFRIKA KORPS 1941 silver ring in a good condition. 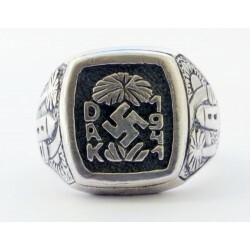 You are bidding unique ring from the World War Two period - DAK TUNIS silver ring in a good condition. Very unusual design with detailed relief. It`s weight 9.2 grams. Silver (tested). 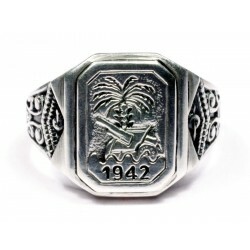 You can acquire this World War II period - German Africa 1942 silver ring with sharp details in a good condition. Very unusual design with detailed relief. It`s weight 7.18 grams. Silver (tested). 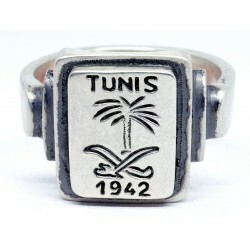 You are bidding unique ring from the World War Two period - TUNIS 1942 silver ring in a good condition. Ring with sharp details in a good condition. Very unusual design with detailed relief. It`s weight 10.98 grams. Front dimensions 15.63mm. X 13.44mm.